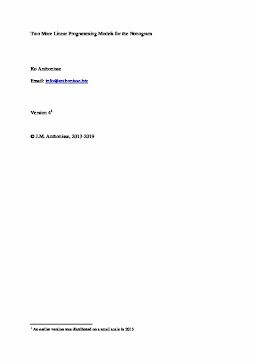 Anthonisse, J.M. (2019). Two More Linear Programming Models for the Nonogram.